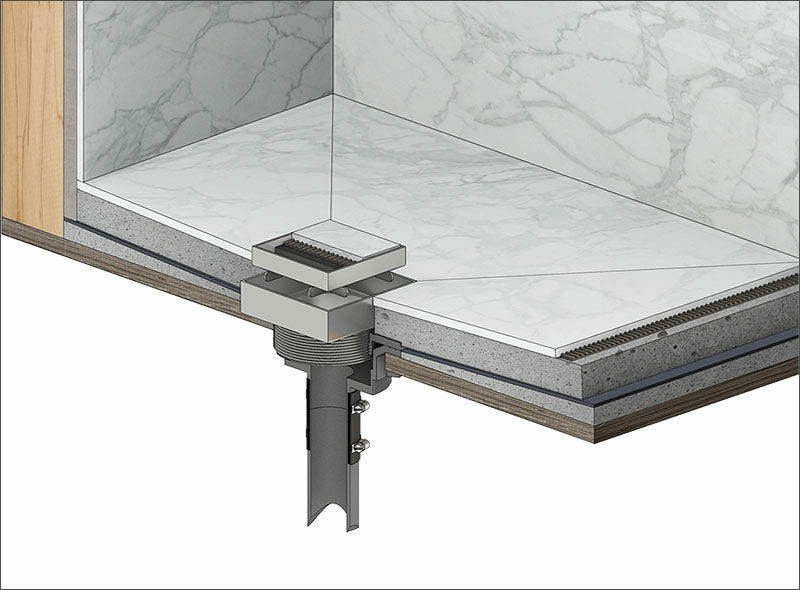 Shower drains, like so many other elements in a home, are essential features that have gone largely unchanged over the years. Depending on the kind of shower you have they’re usually either in the middle or if your shower is also a tub, at one of the ends. But those aren’t your only options. 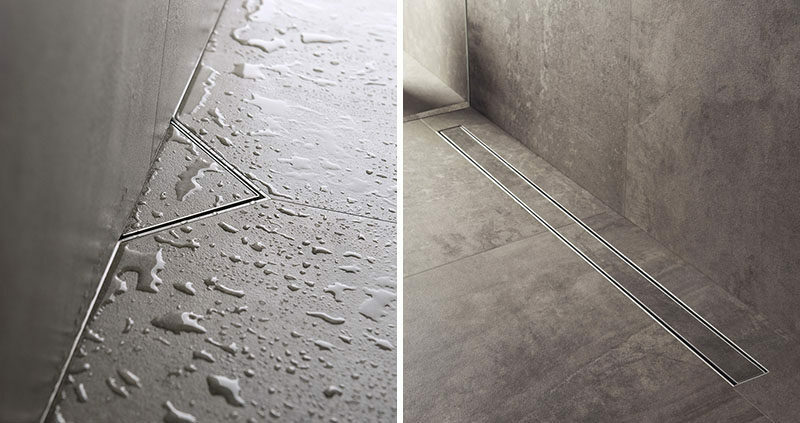 Linear shower drains, sometimes also referred to as infinity shower drains, are drain systems that sit evenly with the floor and almost seem to disappear completely. 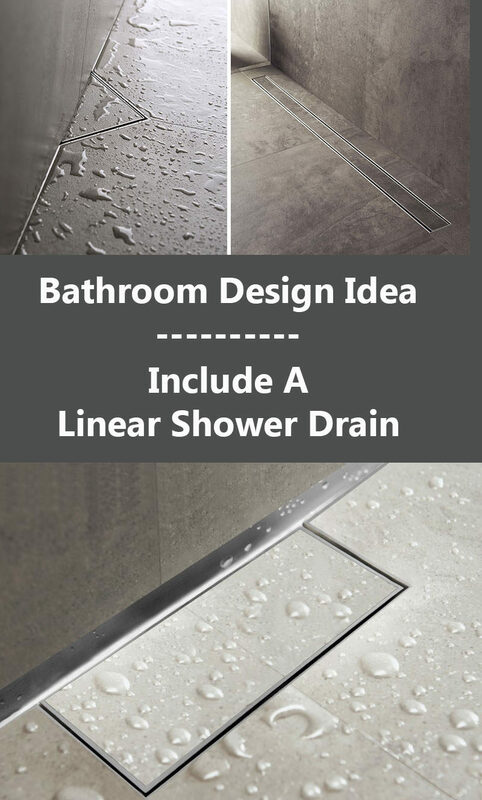 Here are 3 benefits that explain why having a linear shower drain is a good idea. Their integrated appearance and built-in nature means the design possibilities are practically endless. 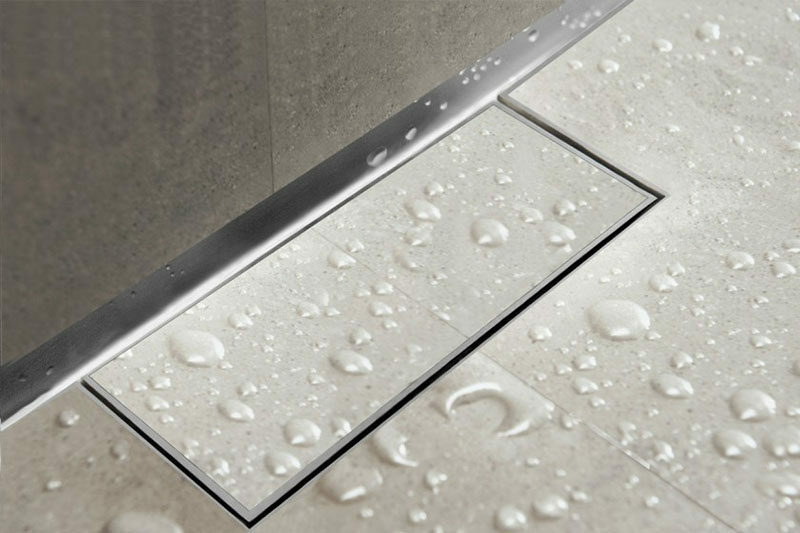 Linear drains only really require a single slope to drain the water efficiently. 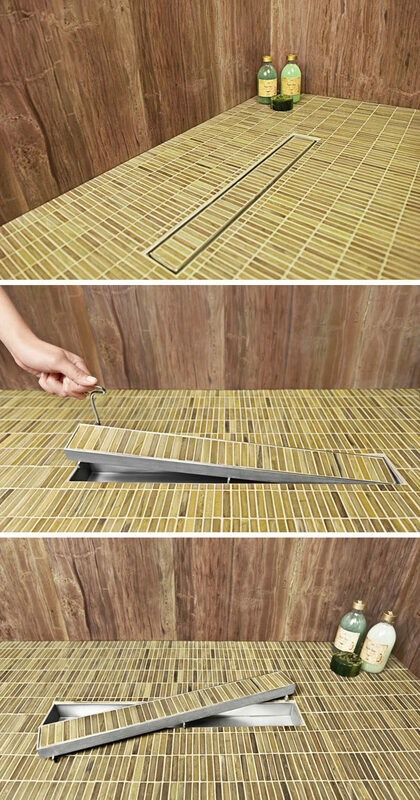 This means they can be placed along a single wall or in the center of the shower if multiple slopes already exist. 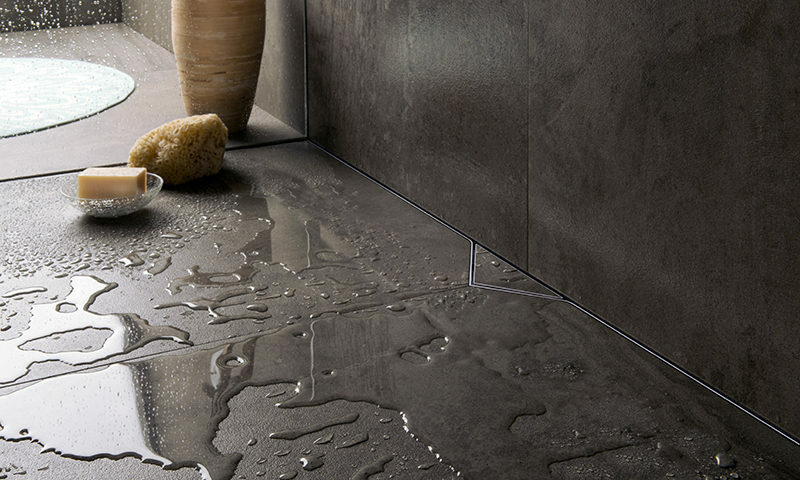 The single slope also means that it’s possible to use large format tiles rather than be restricted to using small tiles to create more of a mosaic look. 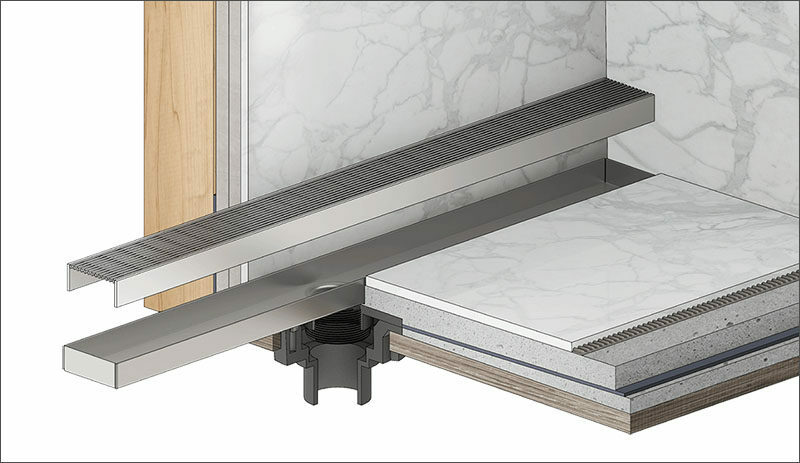 Typically composed of a stainless steel channel body with a grate or tile covering the opening, linear drains have a number of benefits over traditional drain systems. Here’s a couple of diagrams that show how they sit in the floor. The sizes they come in range from long and thin to short and wide. 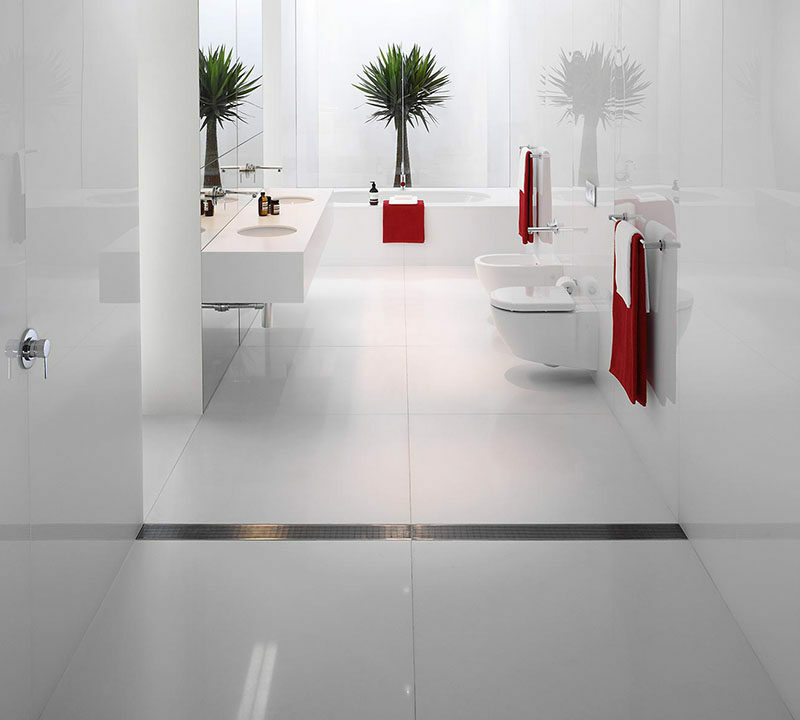 This means the layout of the bathroom can be done in virtually any way. 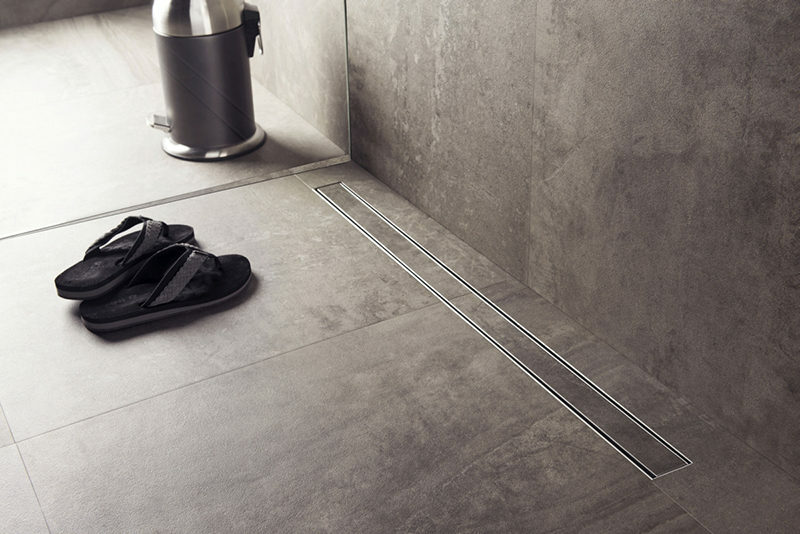 The drains can run from wall to wall creating an open concept bathroom without any barriers or doors or they can be used to keep any water from leaving the shower area. 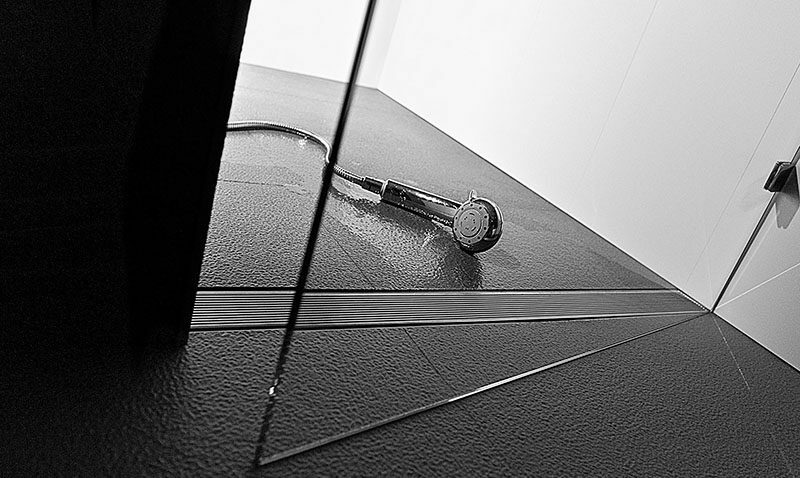 Another benefit of linear drains is the ease of which they can be cleaned. 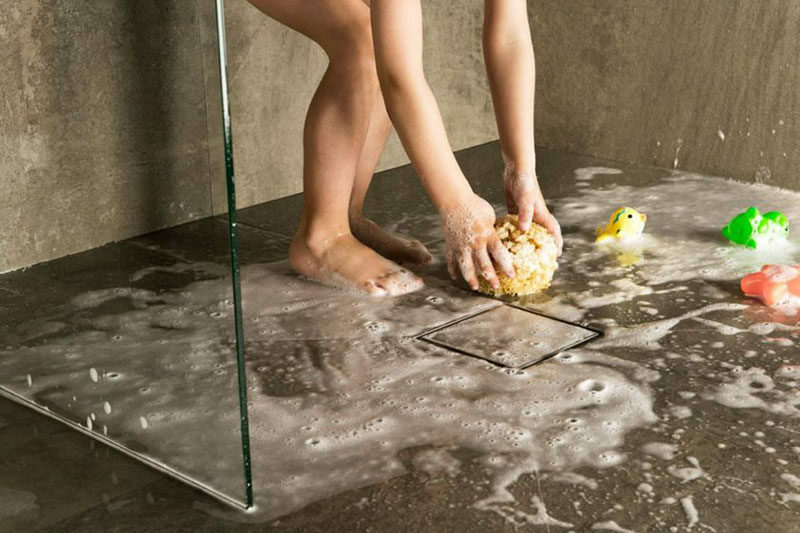 Traditional shower drains can be a pain to clean, however with linear drains, the grate or tile covering can easily be removed to clean out any blockages or hair that gets into the drain.